Although significant progress has been made in increasing awareness among women that heart disease is their one of the leading causes of death, most women fail to make the connection between heart disease risk factors and their personal risk of developing the disease. This disease is largely preventable, but kills more women than all forms of cancer combined. 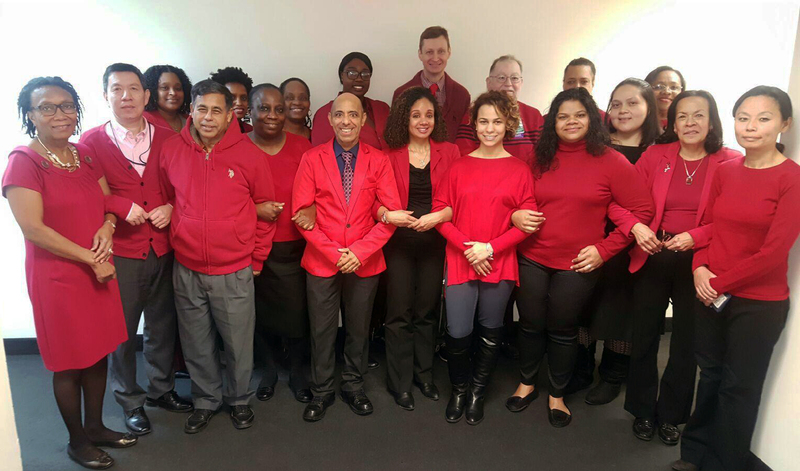 Join Bronx Community Health Network (BCHN) and The Heart Truth program on Friday, February 3, for National Wear Red Day to help spread the message that heart disease is the leading cause of death among women. The Heart Truth created and introduced the Red Dress as the national symbol for women and heart disease awareness in 2002 to deliver an urgent wake-up call to American women. The Red Dress® reminds women of the need to protect their heart health, and inspires them to take action. On National Wear Red Day, wear a red dress, red shirt, or red tie to show your support for women and heart disease awareness. While heart disease risk begins to rise in middle age, heart disease develops over time and can start at a young age, even in the teen years. It's never too early, or too late, to take action to prevent and control the risk factors for heart disease. The Heart Truth is building awareness of women's heart disease and empowering women to reduce and prevent their risk. It is reaching women with important heart health messages in community settings through a diverse network of national and grassroots partner organizations. The Heart Truth program is sponsored by the National Heart, Lung, and Blood Institute (NHLBI), part of the National Institutes of Health (NIH), U.S. Department of Health and Human Services (HHS) in partnership with The Office on Women's Health (OWH) and other groups committed to the health and well-being of women. Like BCHN, community organizations across the country are joining The Heart Truth program and using its Red Dress symbol to raise awareness about women and heart disease. Educational materials are being distributed at local events and presentations emphasizing women's health issues. Locally, (insert description of local event).